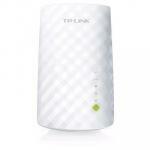 "Great product if you need to extend your Wifi range. Large homes with a ground and upper floors and bedrooms spread out could run into a problem connecting or getting a decent speed. 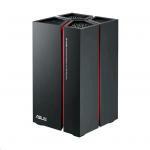 Asus's wireless..."
"I bought the RP-AC68U 6 months ago when I moved into my new house. I wanted gigabyte speeds over 5Ghz wifi to a part of my house (20 meters away from main router) where I didn’t want to run network..."
- Extend your existing 802.11ac dual-band Wi-Fi network with speeds up to 1900 Mbps. - Smart LED signal indicator helps you find the best location for optimum Wi-Fi performance. 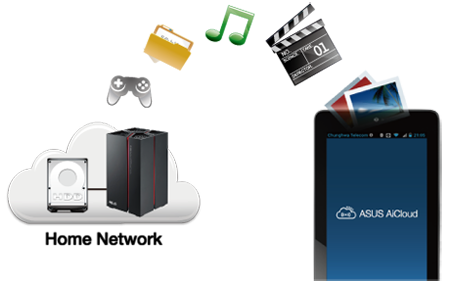 - USB 3.0 port for AiCloud support and fast NAS performance. 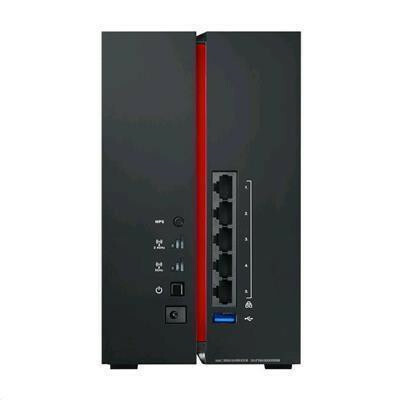 - 5 Gigabit Ethernet ports to convert any wired network devices to wireless operation. 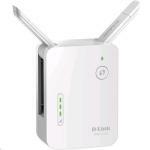 - Roaming Assist helps you to get a stable connection everywhere in the home or office. RP-AC68U is an AC1900-class dual-band repeater, with a 3-transmit, 4- receive (3x4) internal antenna array that delivers Wi-Fi speeds up to 1300 Mbps on the 5GHz frequency band and up to 600 Mbps on the 2.4GHz band, for a combined total of up to 1900 Mbps. 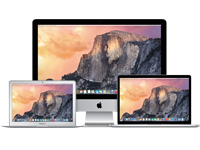 It's easy to install with its one-touch WPS button, and it features a high-speed USB 3.0 port that works with AiCloud to give you fast wireless access to files stored on a connected USB storage device. Five gigabit ports let you convert any wired network device, such as a game console or smart TV, to work wirelessly. Smart status LEDs give you all the information you need to know, at a glance. Faster Wi-Fi that goes further! The RP-AC68U wireless repeater has powerful internal MIMO antennas that help to eliminate signal dead zones and improve the coverage of any existing wireless router. It works as a repeater, which means it can extend wireless networking to every corner of the home - even to those difficult, hard-to-reach spots. With blindingly-fast 802.11ac speeds up to 1900 Mbps, it's ideal for extending your existing 802.11ac Wi-Fi network. 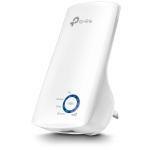 This ensures reliable high-speed internet coverage everywhere for devices such as notebooks, tablets, smartphones, game consoles and smart TVs. Powered by the latest 802.11ac technology, RP-AC68U delivers ultra-fast wireless-AC speeds up to 1300 Mbps on the 5GHz band and 600 Mbps on the 2.4GHz band - that's a combined total of 1900 Mbps! This high-performance wireless lets you enjoy ultra-smooth online gaming, snappier web surfing and other bandwidth-hungry tasks without a wired connection. RP-AC68U wireless repeater installation doesn't require a CD or even a mouse and keyboard. 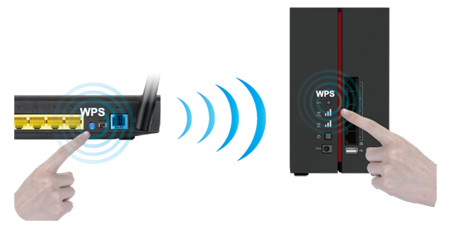 Simply press the WPS buttons on RP-AC68U and your router, and setup is complete. Optimized performance is assured for a seamless and smooth internet experience. For advanced settings, you can connect RP-AC68U to a PC via an Ethernet cable and access the web-based configuration menu directly, with no disc or app needed. 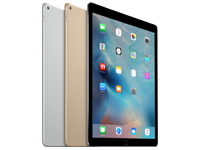 You can even set it up wirelessly from a tablet or smartphone. For best results, RP-AC68U needs to be within range of a stable router signal, and should be placed between the router and the location where you need better wireless coverage. 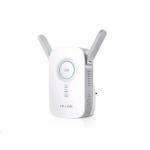 RP-AC68U works best when it is receiving a strong wireless signal from the router - you can check this by using the signal strength indicator on the back panel. 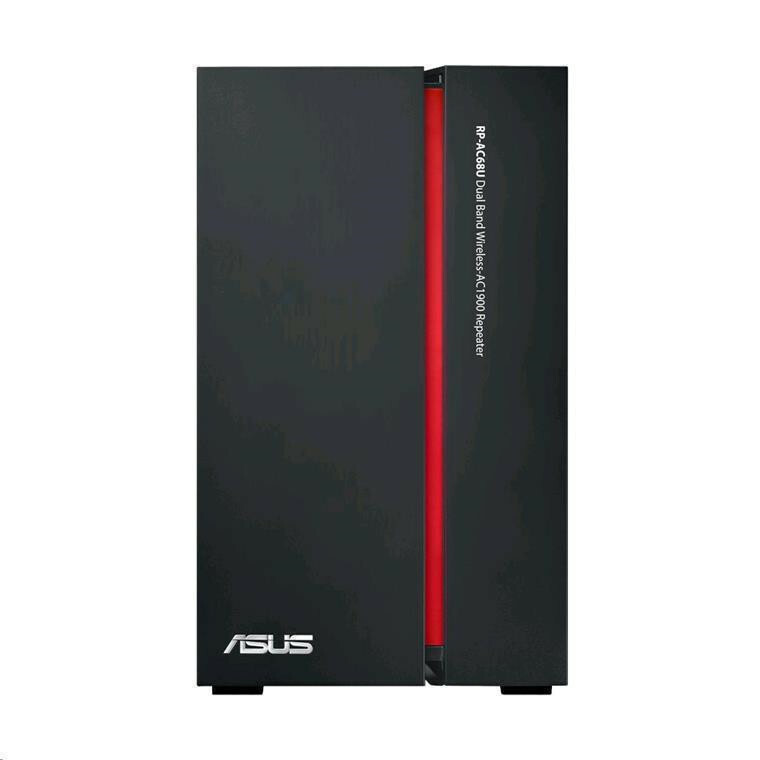 Connect USB storage to the USB 3.0 port and turn RP-AC68U into a personal cloud server with ASUS AiCloud, for accessing and streaming content anywhere. AiCloud is a free app for iOS and Android™ devices, and works with RP-AC68U to give you the ultimate mobile flexibility. 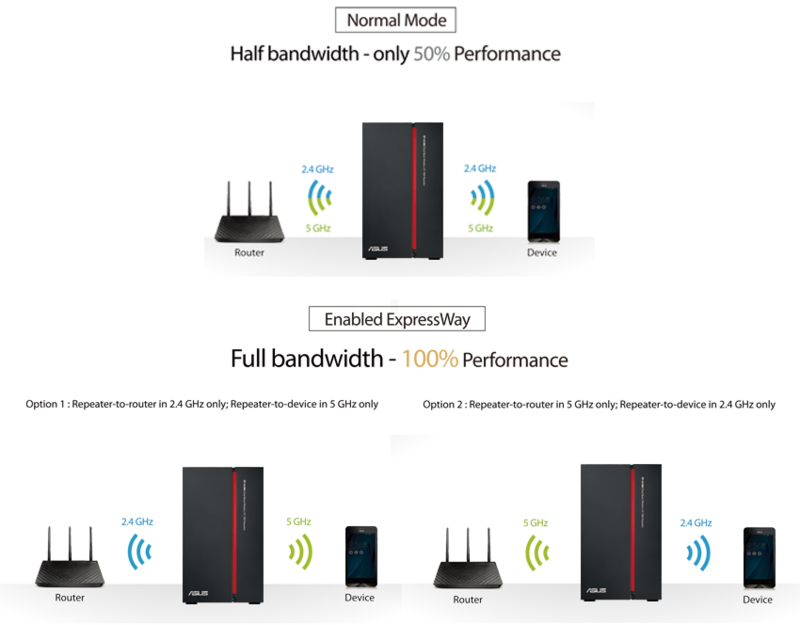 Media Bridge mode - Faster-than-wired networking for any device. In Media Bridge mode, RP-AC68U adds Wi-Fi to any Ethernet-enabled device, including smart TVs, multimedia players, game consoles and PCs. Back-panel status LEDs give you an at-a-glance signal-strength indication for both the 2.4GHz and 5GHz frequency bands. Upgrade your wireless network to the ultra-fast 5GHz speeds. RP-AC68U can add a fast and stable 5GHz network to a single band 2.4GHz router, upgrading it to 1300 Mbps speeds for ultra-smooth online gaming, 4K UHD video streaming and speedier downloading. 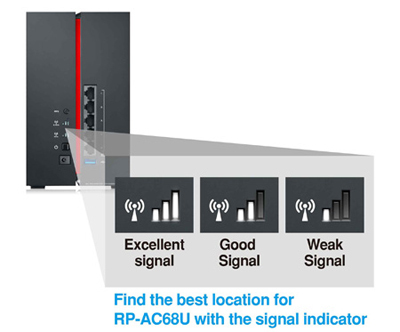 For an existing 5GHz network, RP-AC68U adds an extra 5GHz network so you can connect even more devices for even greater wireless multitasking. ASUS ExpressWay uses the dual-band capability of RP-AC68U to create a super-efficient connection with improved performance and reliability. 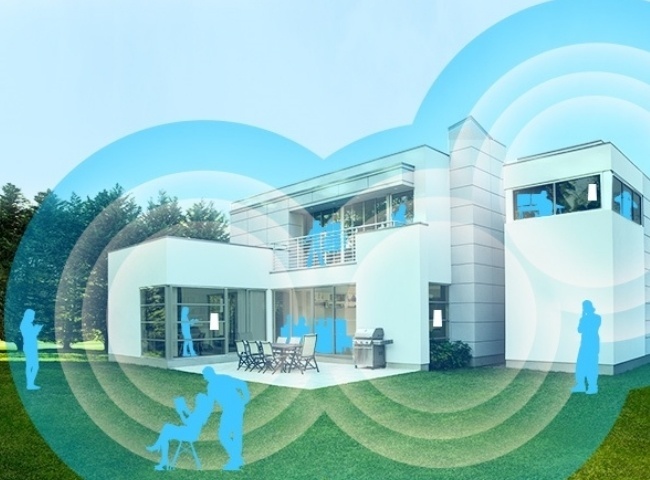 In normal mode, RP-AC68U uses the 2.4GHz and 5GHz bands simultaneously for connecting to devices, giving the widest compatibility with devices and routers. 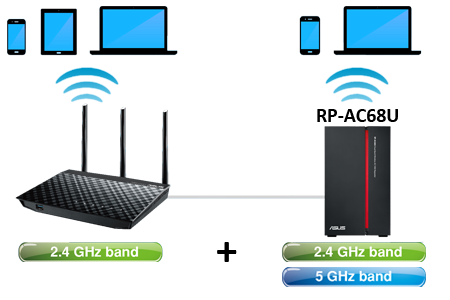 As long as at least one device - or your router - supports 5GHz operation, ExpressWay can dedicate one band for connecting to the router and the other band for connecting to the device. 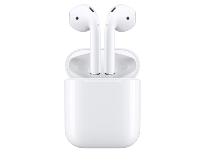 This gives you a great performance boost for data-intensive tasks such as HD video streaming or online gaming, and also reduces the chance of losing the connection due to interference. With our hassle-free Roaming Assist technology, you never have to switch connections manually between RP-AC68U and your ASUS router as you move around your home. 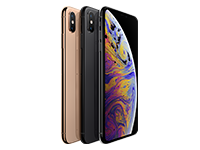 Once you enable this function, your device will connect automatically to the strongest Wi-Fi signal, whether it's from the router or the repeater. This ensures that you always get the most reliable connection wherever you are in the house. The effectiveness of the Roaming Assist function varies according to environmental factors. 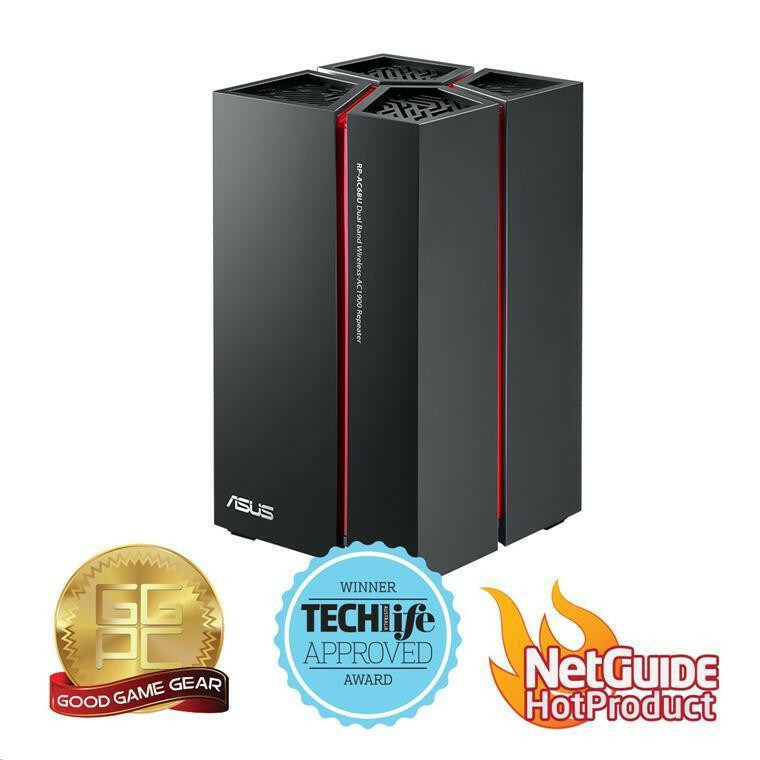 This ASUS-exclusive function works only with ASUS routers. Will this extender work with DSL-N55U? I bought the RP-AC68U 6 months ago when I moved into my new house. I wanted gigabyte speeds over 5Ghz wifi to a part of my house (20 meters away from main router) where I didn’t want to run network cables and I needed the ability to connect my NAS drives and main computer to Ethernet ports in this location primarily to transfer and watch very large HD movies. This device paired with my Asus DSL-AC68U has enabled this and data transfer speeds from main PC to NAS drives is around 90 to 100 MB/s and internet speeds on my fibre 100/20 plan are around 90Mbps down and 18Mbps up. View MoreI bought the RP-AC68U 6 months ago when I moved into my new house. I wanted gigabyte speeds over 5Ghz wifi to a part of my house (20 meters away from main router) where I didn’t want to run network cables and I needed the ability to connect my NAS drives and main computer to Ethernet ports in this location primarily to transfer and watch very large HD movies. It’s been extremely stable and reliable and probably lost its connection to the router twice over 6 months but it’s easy to pair up again using WPS. I’d give it 5 stars. 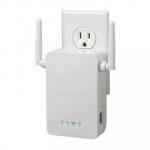 Great product if you need to extend your Wifi range. Large homes with a ground and upper floors and bedrooms spread out could run into a problem connecting or getting a decent speed. 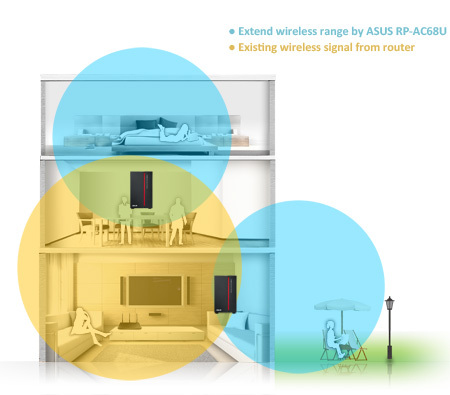 Asus's wireless extender helps a lot. Simple setup even dummies can breeze through its setup.Great product if you need to extend your Wifi range. Large homes with a ground and upper floors and bedrooms spread out could run into a problem connecting or getting a decent speed. Asus's wireless extender helps a lot. Simple setup even dummies can breeze through its setup. Normally: $225.21 Normally: $258.99 $220.25 ex. $253.29 inc.